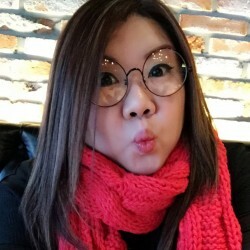 @Fi1980 is a 39 year old Lesbian Female from Singapore, Singapore, Singapore. She	is looking for Relationship. Hello all. Im looking for other lesbian friends in 30s. Women who are confident and intellectual. Im more chapstick and I do enjoy company from friends who are witty, cynical or whimsical... hahhaaa. The funny thing is that most of them are married and i realise theres a need to expand my gay circle of friends.